Where Do We Draw the Line for Household Products? If you pay attention to some of the most popular websites around, you will certainly see lists of products you never thought you needed. Yes, some products are quite handy, but perform one very specific function, which I don’t really think justifies their need. What most products like nail protector clips (so you never ever ruin freshly applied nail polish again) or Pour Thing (a bottle attachment, which makes pouring liquids a child’s play) is eliminate the learning process of doing things well. Imagine having to pour something with unsteady hands… without your Pour Thing… in a public place… If you have been pouring like everyone else in the world, then you wouldn’t suffer from unsteady hands when doing this. At the same time, these products seem irresistible. I will tell you where to draw the line. Find something easily available, simple and which can be used in more than situations. Case in point, the slip-a designs. They have all the qualities above and are truly multifunctional. 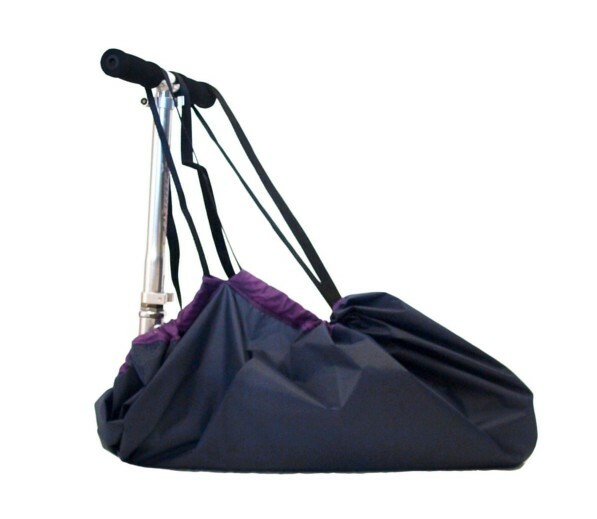 You can use them as mats to protect your floors with and turn them into bags to hold dirty footwear and scooters in place, which allow even to be carried.